Attended Beit Hakerem and Hebrew University high school, Hebrew University (B.A. and M.A. in law and the humanities), and University of Michigan in Ann Arbor (law school, LlM and SJD). Wrote her SJD dissertation on stalking in culture and law under Prof. James Boyd White (founder of law and literature) and Prof. William Ian Miller (scholar of honor). Studied with Prof. Catharine MacKinnon (leading scholar of dominance feminism). Orit did her legal apprenticeship as a clerk in Israel’s Supreme Court and Ministry of Justice. She worked as an assistant to the Israeli parliament’s legal advisor, as legal advisor of Israel’s Anti Drug Authority and head of the legal department of the biggest feminist organization (at the time): the Israeli Women’s Network. Was a professor at the Hebrew University in 1995-2009 and a visiting professor at the University of Michigan Law school (1999-2006). Taught courses in law, gender and/or Israeli culture and society in various academic and semi-academic institutions (including Tel Aviv University, Hebrew Union College, College of Management, Ramat Gan College of Law and Business, Peres College, Alma). Was a fellow of the Hartman Institute for Judaic Studies in Jerusalem, and visitor scholar at the EUI, Florence Italy. Working for the Israeli Women’s Network, Kamir drafted with Rivka Mekayes (1990) Israel’s law for the Prevention of Domestic Violence. As volunteer for ACRI, she appealed to the Supreme Court (1991) in a case that determined women’s right to add their unmarried partners’ family names to their own, and became a significant human rights precedent. She drafted (1996) the third amendment to Israel’s Names Law, establishing that women’s names do not change automatically upon wedlock. The amendment prescribes that after marriage, both men and women are entitled (but not compelled) to change their family names by adding their partners’ to their own, choosing a new name together with their partner, or substituting their maiden name with their partner’s. In a professional legal article from 1997 Kamir proposed the draft legislation that was adopted by the Israeli parliament and became Israel’s law for the prevention sexual harassment. She has since written numerous articles and a book on the law, and has been a public authority on the topic. Mainly for this activity she won the New Israel Fund‘s 2013 award for contribution to law, social justice and human rights. In 2003 Kamir published an article suggesting a formula for a new prohibition on sexual offenses. She has since frequently written and spoken on the topic. The proposed legislation was put forth in the parliament three times by three parliament members (Etti Livni, Zehava Galon and Merav Michaeli). In 2015 Kamir drafted a bill for the prevention of workplace bullying. The bill was presented in the parliament by parliament member Merav Michaeli, and passed the first reading with an overwhelming majority. It has since been blocked by the government, but labor courts have been using their general powers to apply it to cases before them. Kamir has supported of and been active in Israeli human rights organizations (B’Tselem, Itach – Women Lawyers for Social Justice, Breaking the Silence). She writes to Israeli newspapers (such as Haaretz). In 2004 Kamir founded, together with Rivka Elisha, the Israeli Center for Human Dignity. The non-profit organization applies Kamir’s theory of dignity and honor, working with the IDF, the ministry of education and many other public and private organizations (such as prisons, hospitals, municipalities). Orit Kamir was born and raised in Jerusalem, Israel, where she continues to live. Her father, Amior, was born in Tel Aviv in 1933, to Zionist pilgrims, Haya Glicklich (from Rovno) and Nachum Katzka (from Dubno). Amior was economic advisor for Israel’s prime minister Levy Eshkol’s, and CEO of Israel’s Credit Insurance Company (ICIC). Orit’s mother, Shulamit (previously Zula), was born in Przemysl, Poland, in 1935, and underwent WWII in Lvov (now Lviv). In 1950 Shulamit arrived in Israel with her parents, Lola Kanner and Artur Frim, and was an economist and statistician civil servant. Anat, Orit’s younger sister, was also born and raised in Jerusalem. Kamir’s feminist and human rights activism, particularly her involvement in the legislation and promotion of the law to prevent sexual harassment, have triggered much resentment, making her a target of vilification. 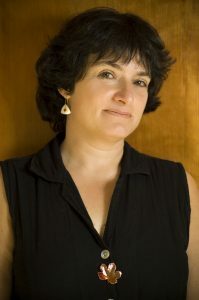 With the legislation of the sexual harassment law, several of her colleagues at the Hebrew University law school, anticipating that she might assist studentsseeling to file complaints against them, demanded that the university overturn her tenure and fire her (the colleagues were Zohar Goshen, Israel Gilad, Alex Stein and Uriel Procaccia). When the colleagues finally succeeded, Kamir (represented by Orna Lin’s law office) sued the Hebrew University for unlawful firing based on sexual discrimination. The proceedings received much media coverage and public attention. Fearing a damaging precedent, the Hebrew University requested mediation. As a result, the institution publically admitted that the law professors’ accusations, that led to Kamir’s firing, were unfounded. The university reestablished Kamir, but requested that she resign her position after 6 years (in 2009). As suing academic institutions was, at the time, highly unusual and scandalous, Kamir has been black listed and boycotted by Israeli academic institutions.